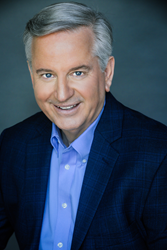 Richard A. Wilson of Sentium Strategic Communications to give the keynote address at “9th Annual OC Water Summit” in Costa Mesa, CA on how to communicate with ratepayers during troubled times. Richard A. Wilson of Sentium Strategic Communications to Deliver Keynote Address at the “9th Annual OC Water Summit” in Costa Mesa, CA. The coming rate increases are inevitable. The key factor for avoiding disaster is how well you communicate with you ratepayers. Richard A. Wilson of Sentium Strategic Communications to deliver the keynote address at the “9th Annual OC Water Summit” on May 20, 2016 in Costa Mesa, CA. The Municipal Water District of Orange County and Orange County Water District partner each year to put on the “OC Water Summit,” which attracts more than 300 Southern California water, civic and business leaders. The message behind the presentation is that most public relations problems are self-inflicted. A key part of running any water or wastewater district is to communicate effectively with their ratepayers. Instead, most districts keep their ratepayers in the dark. This creates an information vacuum that ratepayers often fill with the worst possible scenarios. Richard said honest, open communication is vital to building trust. It is also important to use the language of the “average man on the street,” instead of sounding like a lawyer. Mr. Wilson illustrates how many water districts and municipalities actually create antagonism simply by the language they use. Richard recommends, "The coming rate increases are inevitable. The key factor for avoiding disaster is how well you communicate with you ratepayers." ABOUT RICHARD A. WILSON OF SENTIUM COMMUNICATIONS Over the past 38 years, Richard A. Wilson has successfully promoted products from cutting-edge technology to the performing arts. He created advertising, public relations, direct mail, and sales-support programs for major companies such as Hewlett-Packard, Illumina, Marriott, Citrix, Intel, and Charles Schwab. Richard Wilson has worked successfully with both executives and entrepreneurs. Richard Wilson is the founder and chief strategist of Sentium Strategic Communications. Sentium is based in Northern California, and works with clients located around the country.